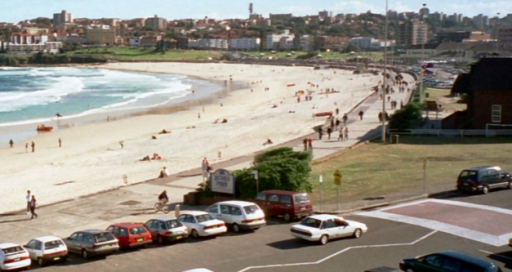 Posted February 25, 2016 by Christopher Harris & filed under Bondi View, City News, Featured Bondi View. An emergency Waverley Council meeting on Sunday ended with a man declaring “this is the start of a war on the Liberals,” as Council sat to speak on a report about the merger proposal between Waverley, Woollahra and Randwick councils. Dominic Wy Kanak said he positioned himself between the man, who looked to be in his 60s, and the Liberal Councillors his attack was directed at, fearing it could turn physical. The council meeting related to a council report into the submissions to the local government delegate. The finer points on the future amalgamated council, such as how many wards, and how many councillors they would contain were discussed. A motion to allow residents to vote in a local referendum on the issue was denied. Two councillors were unable to attend, because they were out of Sydney that weekend. A Waverley Council spokesperson told City Hub that the extra meeting was called because the council’s report proposing key elements of its submission were not ready. “The State Government Council Boundary Review has a strict deadline for submissions of 28 February. Unfortunately the Waverley Council officer report proposing the key elements of the submission was not ready for the ordinary Council meeting on 16 February. Consequently the General Manager requested the Mayor to call an extraordinary meeting for 21 February. The meeting was scheduled so that Council could indicate its directions for the submission, and then the submission could be finalised in time for the 28 February deadline,” the spokesperson said. One of the subjects debated was whether or not the community should have a referendum on the issue. Greens Councillor Wy Kanak advocated for a referendum, but it was rejected by Liberal Councillors, who are the majority in the council. A Waverley Spokesperson told City Hub that a “statistically valid” community survey which consisted of a telephone survey for residents and businesses, as well as an online and a paper survey for residents had been conducted. Some also questions the nature of the question itself. A Waverley Council spokesperson said that various merger options were put to residents, who were asked if they were in favour or against. Greens Councillor Wy Kanak said there was disappointment in the local community with Mayor Betts. “Some of the submissions question the analysis of the survey results, to justify saying the residents are behind the amalgamations,” he said. Waverley Council has been in existance for over one hundred and fifty years. Discontented residents were in the public gallery, which Mayor Betts threatened to clear if they could not keep quiet.